civil society leaders and their supporters need to proactively challenge the misinformation. collecting comparable and accumulated data on violations of civil society rights is critical. “……Two years ago, the law adopted by the State Duma entered into force. It is universally known as the “Foreign Agents” law, despite the fact that it is actually an amendment to an old law “on non-commercial organisations”. The updated law with all its novelties wasn’t put into use at first, but in February 2013 the Russian Prosecutor’s Office began mass inspections of NGOs across the country. These inspections were followed by court hearings. The wide-scale campaign to smear NGOs began. However, despite the authorities’ demands, human rights activists refused to call themselves foreign agents voluntarily. When all the Russian NGOs united in solidarity and declared, once for all, that they are not “agents”, it prompted widespread admiration. Russian authorities had to rush to modify the fateful law. Following these amendments, “foreign agents” are now being unilaterally registered, without any judicial review. The leading human rights organizations are on this list too. Registration now consists of a penstroke by the Ministry of Justice. Just this week, two more organizations were put on the register and stigmatized by the “foreign agent” label. Russian NGOs still reject the insulting stigma – none of the forcibly registered organizations is going to lie to themselves and to society. They are not “agents”. These people, representing various NGOs in different cities around our country are working for the good of our fellow citizens by helping those whose rights have been violated by the Russian authorities. The past two years of pressure and denigration of civil society activists, the wave of state propaganda and streams of lies and insults have made the lives of human rights defenders, environmentalists and activists very difficult. Their struggle is widely known amongst their NGO colleagues in other countries, evident through numerous solidarity actions that have been conducted abroad in support of Russian civil society over the past two years. Up to the present day, on the second anniversary of the shameful “Foreign Agents” law, almost 150 NGOs – national and international – have signed a letter to President Putin calling for him to overturn the disgraceful legislation. Along with my colleagues from Amnesty International, and in the presence of journalists, this week I delivered this letter to the Presidential Administration. Our colleagues from 32 countries that have signed the letter are now waiting for Russian authorities to react. We brought the letter with six pages of signatures and a 90cm x 150cm poster reprinting the words of the letter. To our great surprise, both were accepted, although the large poster caused some fuss among Presidential Administration employees. One might say: “Oh, everything is meaningless.” It is nothing like that. More than 50 years of Amnesty International activism in every region of the world suggests the opposite. There were darker days in the history of our country. We experienced numerous campaigns of lies and slander against individual citizens, groups of citizens and nations. Mudslingers have been always singing from the same song sheet as the authorities. However, the inexorable course of history teaches us that truth is always restored and justice prevails. It may take years, and sometimes requires a lot of strength. But we all know that those defamed and stigmatized with the “foreign agent” label are very brave and courageous people. And ultimately, this dark page of history will be remembered with disgust. A version of this blog originally appeared (in Russian) on Ekho Moskvy’s website. Open letter to Putin – 148 NGOs slam ‘foreign agents’ law | Amnestys global human rights blog. Have human rights defenders encountered the end of their shaming powers? It is late in the weekend but perhaps you still find time for an interesting long read by Suzanne Nossel, the Executive Director of the PEN American Center. She wrote this for Foreign Policy and it was reprinted in the Pittsburgh Post of 25 May. The article is a good overview with what has gone wrong recently with an increasing number of world leaders showing not to care much about human rights (accusations), an attitude which she dubs “imperviousness”. I am personally not convinced that this is an unstoppable tendency but we seem indeed to be in quite a dip compared to say a decade ago when it comes to the restraining power of the human rights movement. So the depressive conclusion of this relatively long piece is not too unexpected: “The traditional tools of human rights activism — exposes, media attention and pressure from mostly credible Western governments — are falling short when it comes to some of the major challenges of the day. It is as if an expanding group of leaders has built up antibodies and these leaders can now resist where they previously would have succumbed. While it’s not time to give up on the traditional treatments, human-rights defenders need to get into the lab quickly and develop some new tactics before the virus of imperviousness spreads even further.” It would be interesting to get views from others on this question. Why so many rulers are impervious to shame – Pittsburgh Post-Gazette. 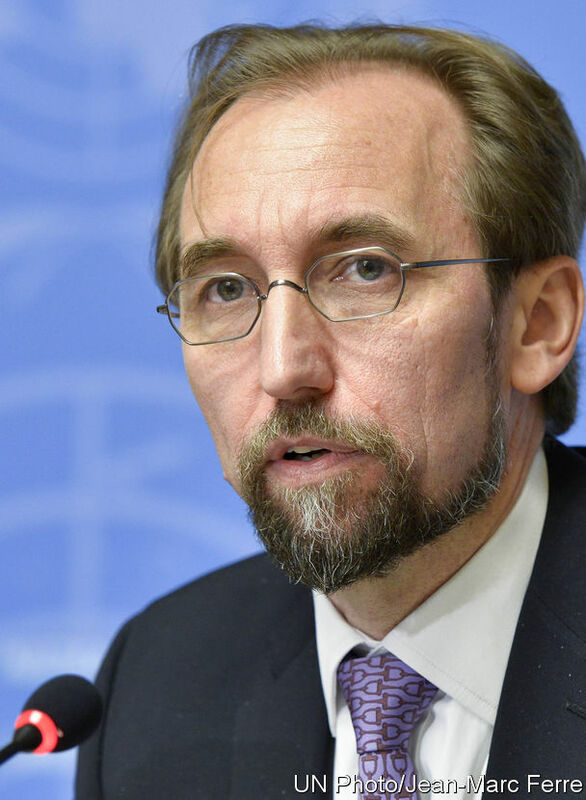 Today’s post, praising the Office of the High commissioner for Human Rights, lead a reader to draw my attention to the continuing attacks by UN Watch. In a recent post (9 January this year) I had already urged Human Rights Watch to take more and more publicly distance from this other NGO, but reading the website of UN Watch I realize that in fact all human rights organizations should take distance instead of being lured into signing up for an ad-hoc critical statement that suits them at that moment. As an example I refer to the statement by UN Watch in May 2012 criticizing the extension of Mrs Pillay’s mandate. 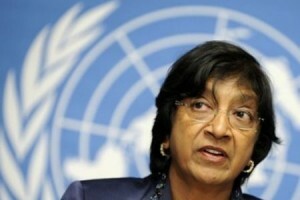 In an effort to make it sound as if a whole range of NGOs share UN Watch’s horror of this excellent High Commissioner it makes the assertion that “UN Watch is among more than 38 human rights groups that have “questioned Pillay’s record in taking on the most powerful blocs and repressive regimes“. In fact the questioning was done by a group of mostly unknown groups and – worse – the criticism only related to the High Commissioner’s (admittedly disappointing) decision not to attend the reception in Oslo for Nobel laureate Liu Xiaobo back in 2010. I have severe doubts that all of the NGOs agreed with the sweeping statement regarding Pillay’s record! To get an idea of who the groups in question are I have reproduced the far from impressive the list below. If any feel that they do not want to be associated with this rabid and manipulating anti-UN NGO they should stand up and be counted! The prevalence of pro-Israel and anti-Cuba groups is remarkable in itself.